A large part of humanity possesses a genetic heritage that is more extraterrestrial than terrestrial... How is it possible that being a civilisation possessing this cosmic DNA we are still governed by a dictatorial elite? For centuries, some entities have been cunningly positioning themselves in prominent positions in the monarchy and governments, in order to govern us whilst waging wars and conflicts. What is known of the colossal nuclear wars of the past that took place in various parts of the Earth such as Sodom and Gomorrah, or the explosions in Mohenjo Daro, Harappa in ancient India, or those in Scotland, the central plateau of Egypt, or Brazil as well as in many other regions of the planet? Remains of large areas of vitrified soil and ashes with high levels of radioactivity have been discovered, scientifically testifying that the Earth has witnessed terrifying atomic explosions for centuries. Will there be a repeat of the nuclear holocaust that occurred in ancient civilisations, or will mankind be able to reverse that risk of destruction, which is increasing every day? 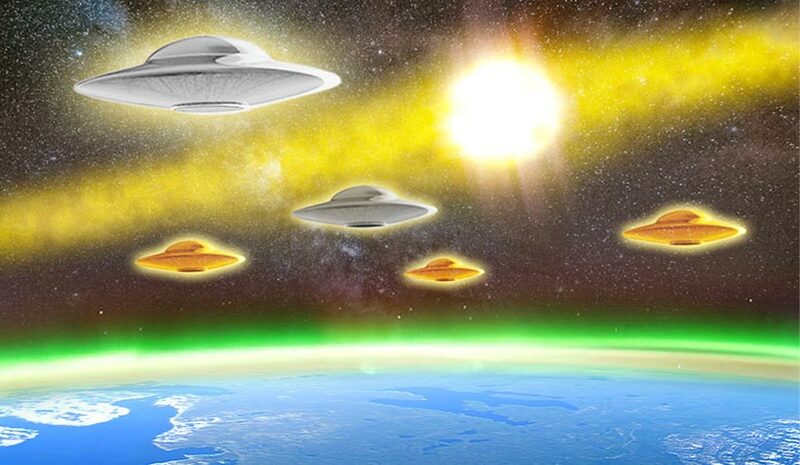 Does the Star Brigade and the various commando units that support them from the cosmos continue to act to prevent a horrendous nuclear war taking place on our planet and this is the reason they continue to appear in our skies as well as in close proximity to the international space station? Is the reason that the rich and famous are building bunkers and shelters or buying islands to ensure that nothing happens to them? As seen from all sides we are on the edge of a terrible holocaust with unpredictable effects.